Beautiful Luxury apartment with soaring 14 ft ceilings! Studio one bedroom all hardwood floors restored, full stainless steel appliance package with undermount microwave and stainless vent exhaust for stove. Washer and dryer included brand new! large bathroom with double vanity and penny ceramic tile floor. Over sized walk in closet presently under construction for closet design package. Custom shades on order! located in the heart of Historic District, City and River Views from Balcony! Make this yours!! 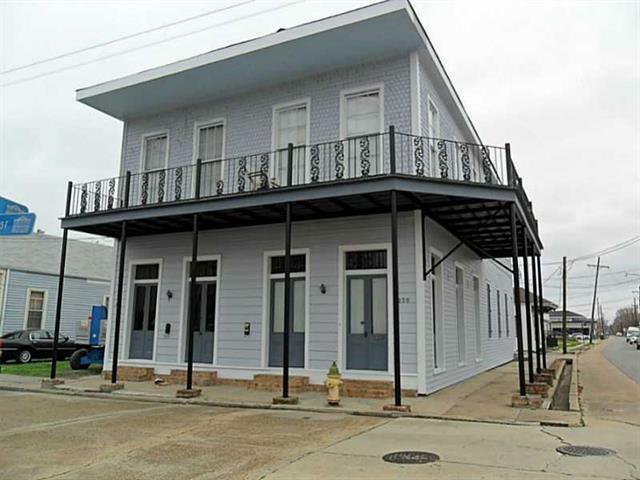 Listing provided courtesy of Elizabeth R Strohmeyer of Keller Williams Realty 504-207-2007.